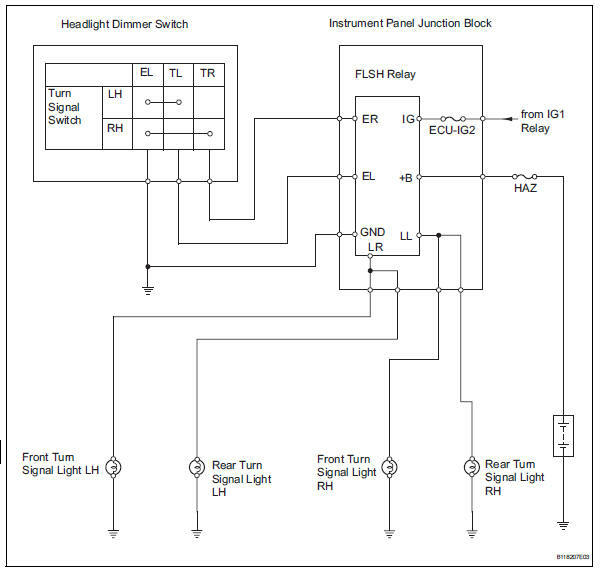 The turn signal flasher relay (marking: flsh) in the main body ecu turns on when it receives signals from the headlight dimmer switch integrated with the turn signal switch, causing the turn signal lights to flash. When the turn signal light switch is operated, check that the appropriate turn signal light flashes. Remove the haz fuse from the engine room no. 1 Relay block. Measure the resistance of the fuses. 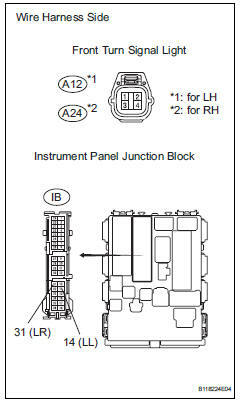 Disconnect the ib instrument panel junction block connector. 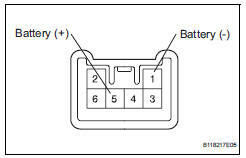 Remove the turn signal flasher relay from the instrument panel junction block. Remove the headlight dimmer switch. Inspect the turn signal switch. 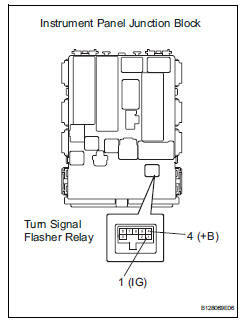 Remove the turn signal flasher relay. 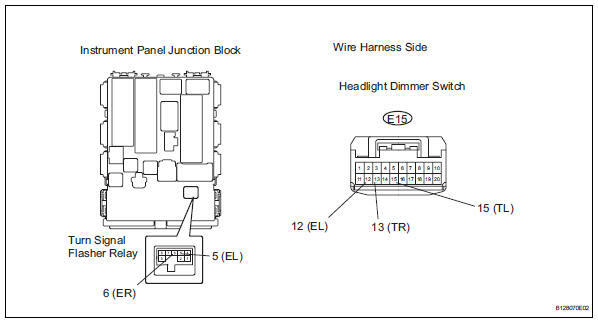 Disconnect the e15 headlight dimmer switch connector. 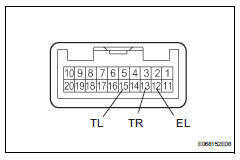 Measure the resistance of the wire harness side connectors and junction block. Remove the front turn signal light. Connect the positive (+) lead from the battery to terminal 1 and the negative (-) lead to terminal 2, then check that the light comes on. Disconnect the a12 and a24 front turn signal light connectors. 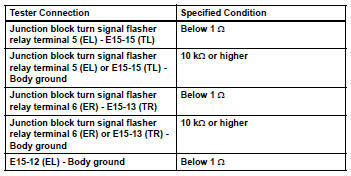 Remove the rear combinationl light. Connect the positive (+) lead from the battery to terminal 5 and the negative (-) lead to terminal 1, then check that the light comes on. 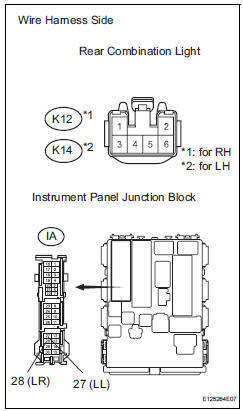 Disconnect the k12 and k14 rear combination light connectors.